As the holiday nears and the year — not the world — ends, it’s a good time to check my mobile predictions from 12 months ago. With the pace of change accelerating, it’s becoming quite difficult to prognosticate even six months down the road in some circumstances. But before New Year’s Eve, I’ll check my crystal ball to see what to expect 2013 will bring to smartphones, tablets and mobile technology in general. Until then, let’s see how I did over this past year. Wearable computing becomes the next mobile frontier. We’ve seen some strides forward in this area, but it’s still a young market. I suggested that we’d see more of these devices and we did: smart watches, health monitoring gadgets, and Google’s Project Glass(S GOOG), for example. Wearable computing isn’t mainstream just yet and probably won’t be for some time. We’ll remotely connect to our smart homes. I predicted two specifics here. The first, more companies trying to put sensors and services into homes, has held up. Automation services and products are coming from ISPs, networking companies and legacy security businesses. The second had to do with more DIY solutions being used by consumers but I’ve seen little evidence of that. A jump in wireless home broadband adoption. I’m actually not sure how many consumers are buying wireless service for their home broadband needs, but I was correct about mobile broadband companies pitching this as a cord-cutting solution. You can, for example, buy an LTE router for the home as part of Verizon’s Home Fusion service. No more cord! Windows Phone usage grows, but slower than expected. I guess it depends on your expectations. Windows Phone(s MSFT) usage has grown, but not as fast as some would like. I noted that Windows Phone wouldn’t have double-digit market share in 2012, which appears accurate. However, I expected Windows Phone market share to surpass that of BlackBerry(s RIMM) at some point this year. It’s difficult to say, as neither Microsoft nor its partners have shared sales data, while this week RIM said it sold 6.9 million handsets in the most recent quarter. I’d estimate sales between the two platforms are close to even and it’s clear that RIM’s sales didn’t fall as fast I thought. Windows tablets in 2012 will sell like Android tablets did in 2011. Android tablets had a rough start in 2011 just as Windows tablets have so far this year. I noted “Tablet choice for consumers next year will be iPad first, Android second and Windows third,” and that seems correct for now. Of course, it’s early for Windows tablets; I didn’t anticipate that Surface Pro and some other Windows 8 tablets wouldn’t appear until 2013. Research In Motion will no longer exist as we know it today. There were some management shakeups, but otherwise, RIM is still alive and kicking. I was completely wrong when I said “By year-end, I suspect the company will be purchased, mainly for its patents, or will refocus as a services-oriented entity.” The very fact that BlackBerry 10 devices are expected on Jan. 30 suggests that RIM will live to fight another year. Nokia uses Symbian as a backup plan (but doesn’t call it Symbian). It doesn’t appear that Nokia(s NOK) has a backup plan. There was talk of Android lately — something I suggested 2.5 years ago — but it’s too late for Nokia to enter the crowded Android market. The patent wars worsen. This is difficult to quantify, but I see no evidence that they got any better. In fact, some HTC devices were held up from being sold early in the year due to potential patent infringement. The same happened to Samsung’s Galaxy Tab 10.1 and, for a short time, the Galaxy Nexus. I expected Apple(s AAPL) and Samsung to settle for an undisclosed amount and that didn’t happen. Instead, Apple was awarded a preliminary sum of $1.05 billion, which could yet be modified. Dual-core devices will outsell quad-core devices. I haven’t found any statistics on this, but I’m comfortable saying this one was accurate. Why? There are still relatively few quad-core chips: NVIDIA’s Tegra 3(s nvda), a specific high-end Qualcomm(s qcom) Snapdragon S4, and one of Samsung’s Exynos, for example. Although some of the best-selling phones use one of these — international variants of the Galaxy S III and Note 2 come to mind — only a few flagship devices have quad-core processors. 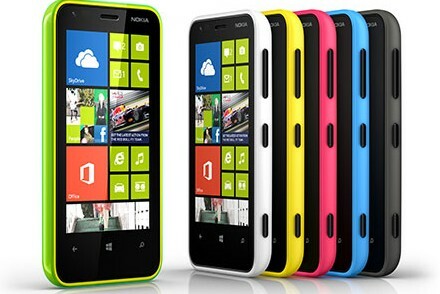 Think the Droid DNA, HTC One X, Microsoft Surface RT, and Nexus 4, for example. There are others, but amid the millions of mobile devices sold in 2012, relatively few had a quad-core chip. None of Apple’s handsets yet use a quad-core system-on-a-chip, for example, nor do any of the low- to mid-range devices that make up the bulk of the market. Apple’s next iPhone will be the iPhone 4GS. I goofed on the name even though I was correct about the inclusion of LTE. I did not predict a larger iPhone at the time. Two years ago I suggested it would desired, but that doesn’t make the 2012 prediction correct. There will be an iPad Pro available in 2012. Again, wrong on the name, but right on the product. I described this as a higher resolution device at the same price point. 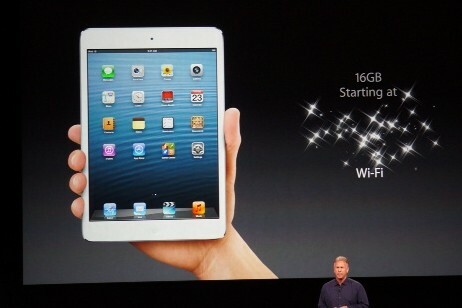 I also said that the iPad would see a price reduction as a result of the new device, and it did. As an early adopter of small slates, I surprisingly failed on the iPad mini, figuring a lower-priced iPad 2 would eliminate the chances of a smaller, less expensive iPad. I’m happy to be wrong on that as the iPad mini — another form factor I suggested would be useful back in early 2011 — is my most used mobile device today. Google will split off Motorola not long after its purchase goes through. I said this because I thought Google wouldn’t be able to compete with its partners; clearly it feels it can. I’m still not sold on the idea of this working out long-term and yet even Microsoft is doing the same with its Surface computer line. Android’s momentum will continue thanks to Android 4.0. I see no evidence proving this one wrong. 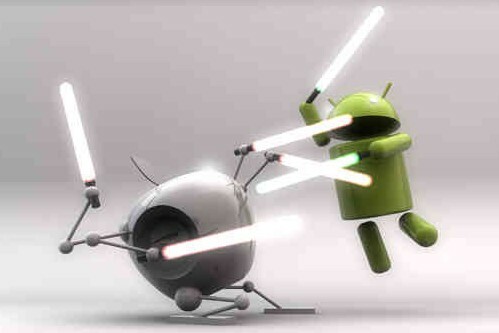 In fact, by some estimates, Android has lengthened its market share lead over iOS and other mobile platforms in 2012. Part of that is due to sales of low-priced Android devices, of course. Yet by many accounts, Android as an operating system is now close to par with iOS, thanks largely to the improvements in Android 4.0. Hybrid apps with HTML5 will be the norm. Wrong. And the biggest example of why this was wrong is Facebook(s FB), which left HTML5 behind in favor of native apps for different platforms. There are surely successful examples of HTML5 in a standalone or hybrid mode for mobile apps, but they’re not the norm. Intel will announce that 2013 is the year it really gets into the mobile market. 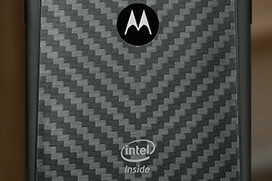 Intel(s INTC) actually took a mobile step forward in 2012 with an Atom-powered smartphone in the Razr i. For all intents and purposes though, 2012 was still dominated by ARM-powered devices, at least until the next generation of Intel chips arrive in phones and tablets. And that will be in … 2013, so I’d say this was pretty accurate. We’ll see a smaller Kinect in 2012, with expectations that such technology fits in a mobile device the following year. My most off-the-wall prediction was probably the most wrong. Kinect still has tons of potential but it’s not yet smaller, nor does it fit in a phone or even a tablet. We did see more gesture-based solutions in 2012, so I wouldn’t count this technology out for traditional computing uses or for mobile devices, but this was as wrong as you get.